Chris says he was never questioned so he had no idea there was a mark on his police record. The 27-year-old construction worker hoped that firefighting was a calling he would one day turn into a profession. 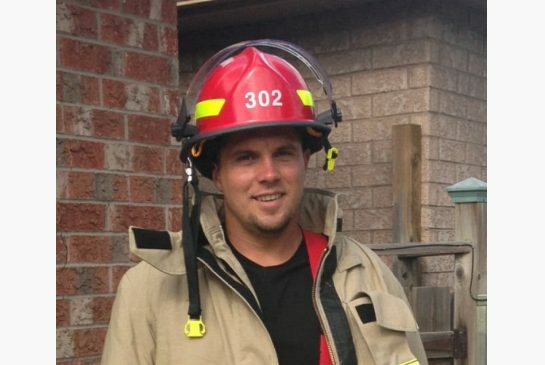 He was overjoyed when he earned a part-time spot at his hometown firefighting service in Caledon last April. After training for months on weekends and occasional week nights, Chris (who asked that we not publish his last name) was asked to provide a “vulnerable sector” police check in August. The results left him stunned. While the check itself indicated no charges or convictions, there was a letter attached. It turns out a friend had been convicted on drug charges after being investigated by an undercover police officer. Chris had been out socially with his pal on three or four occasions when the undercover officer was with him. He says he was never questioned so he had no idea there was a mark on his police record. A few days later, he received a couriered letter from the town saying he was terminated from the fire service due to a “non-clean” background check. Unless the law changes, firefighting is no longer a career possibility for Chris anywhere in Canada. Living in a small town, the stigma lingers, he says. are encouraged to "fabricate" without any accountability.